I probably am just as obsessed with Joanna Gaines as your average HGTV-watching kinda mom. I mean, it’s only normal to have dreams that she is your BFF and you spend holidays together and go shopping together and play Monopoly around their farmhouse table while Chip cracks jokes the whole time, right? 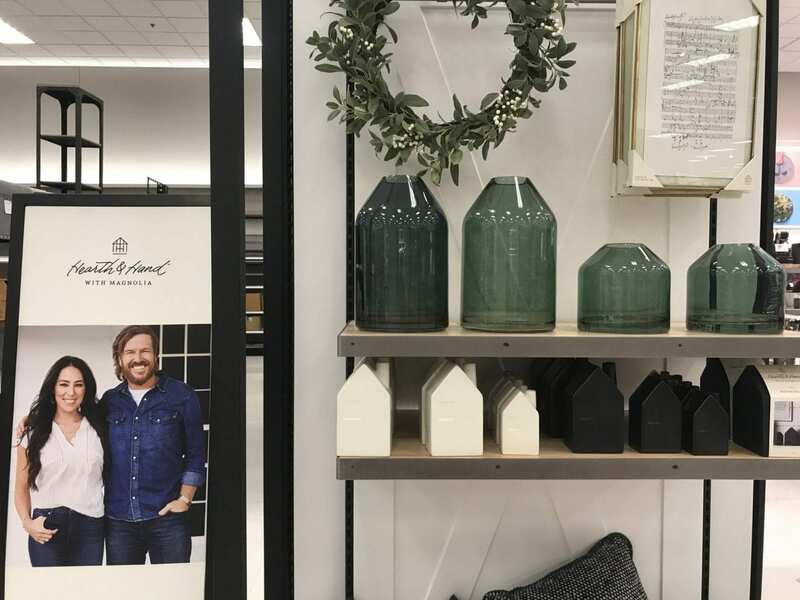 The Gaines are just very easy to love – from their relationship, to their personality, to their gorgeous designs, to their taste in paint colors. 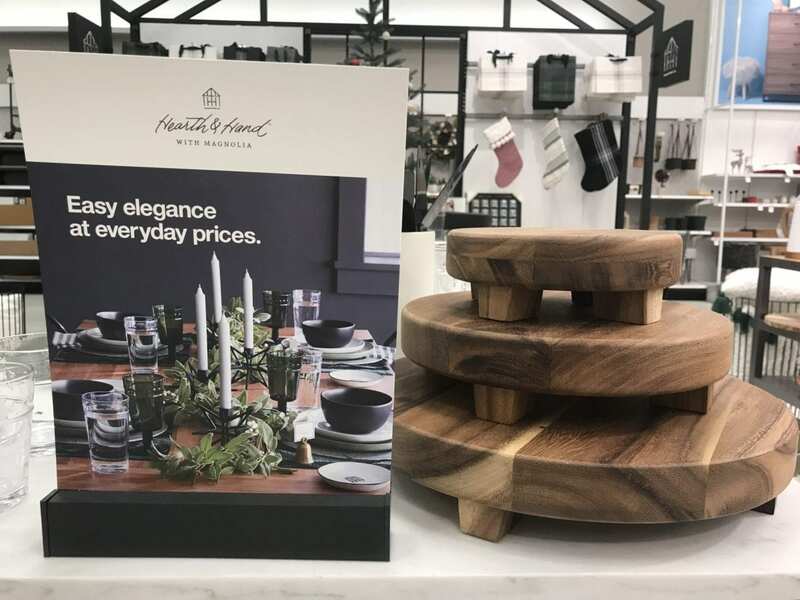 So when they revealed that they were starting Hearth and Hand, a whole new line of home accessories at Target, I pretty much squealed so loud that my husband ran in thinking I must have burned my finger with a curling iron or something. 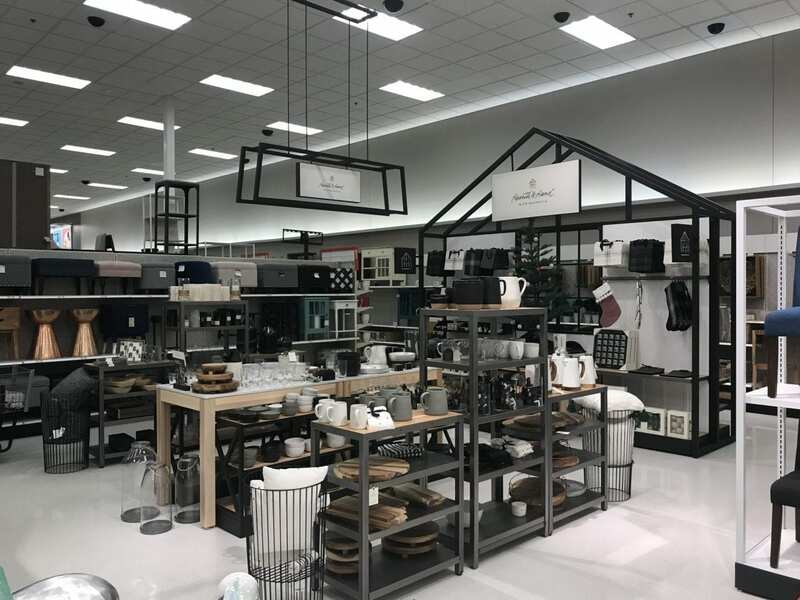 The other day, I decided to make the trip over to our newly renovated local Target store while the kids napped at home with daddy. I felt like a kid on Christmas the whole drive over, and probably jogged straight to the home improvement section with tunnel vision focused on that big ol’ Hearth and Hand sign dangling from the ceiling. So for those of you who haven’t had a chance to check out their new line yet, here’s a review on my experience thus far! 1. Kitchen items made up a majority of the items on display. Gorgeous plates, silverware, pitchers, cups, and cooking utensils were sprinkled throughout. If you’re looking to give your kitchen a makeover, this is definitely the line to consider. 2. 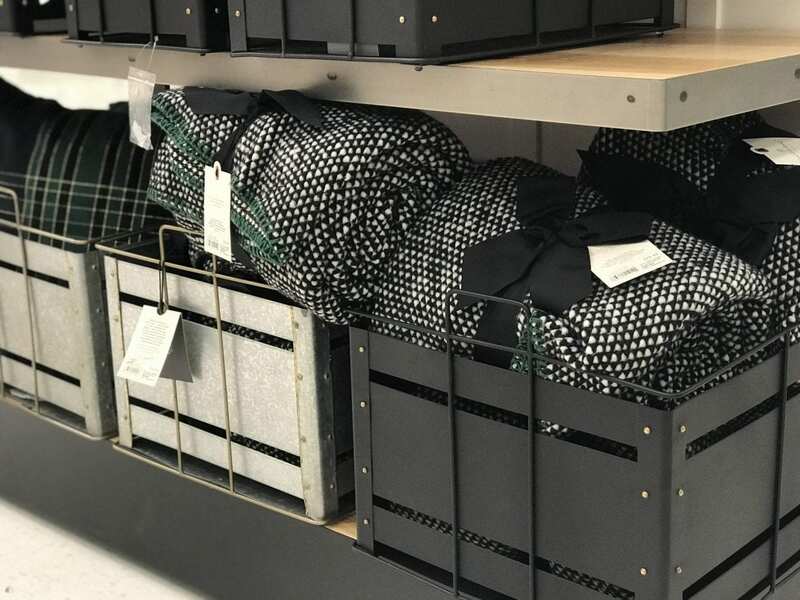 The colors of all the inventory are fresh and neutral. Lots of whites, creams, gray, gold, sea green, and black. No matter what the color scheme is of your home, all of their stuff is going to look good in your house. 3. The quality is top notch. 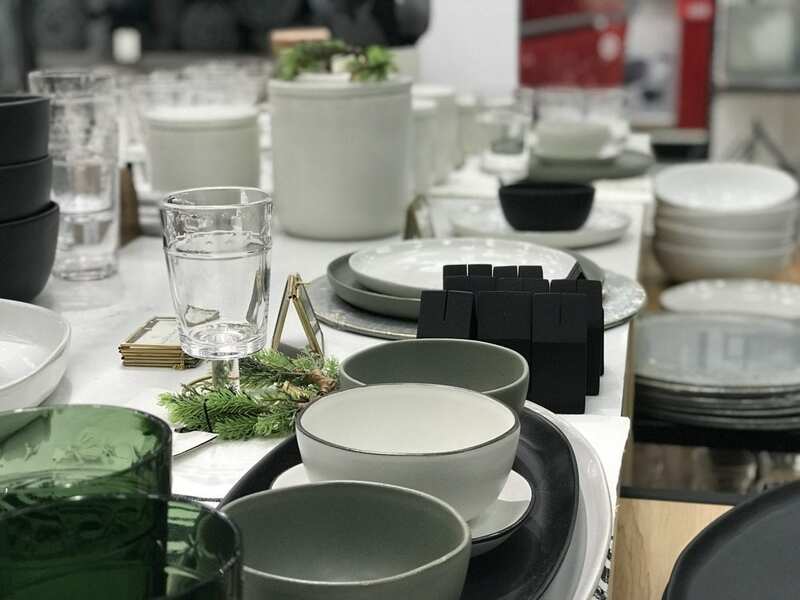 It reminded me of other Target brands like Threshold and Project 62 – sturdy, modern, trendy, classy, durable, timeless. 4. The prices are much more affordable than I expected. 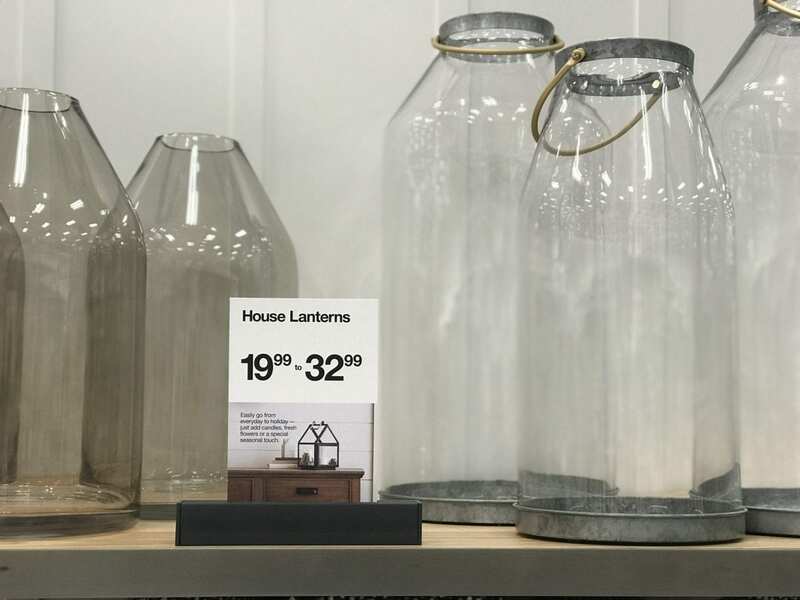 Beautiful glass house lanterns at only $19.99 and huge quilted blankets at only $29.99? YES PLEASE! I’ll take all the things. 5. I didn’t see many furniture pieces. I was kind of bummed about that, I was all gung-ho with the idea of coming home with a brand new chair or something. Right now, the items are more in the categories of home décor, kitchen items, holiday items, pillows, and blankets. If you don’t have a Target nearby, you could also shop their entire collection online at Target.com too! While it is highly unlikely that I’ll become Joanna’s bestie one day, I’m cool with buying all her stuff and making my house look like hers. If you’re like me, you’re going to love Hearth and Hand, too!